An 18-year-old Kisharon Day School pupil with severe autism who went on the run after scaling an eight-foot fence was found safe and well on Monday evening. Yossi turned up at a drop-in centre in Paddington six hours after his disappearance in Golders Green. Staff contacted the police, who brought him home, accompanied by his Kisharon support worker. There had previously been an unconfirmed sighting of Yossi at Tesco in Brent Cross. 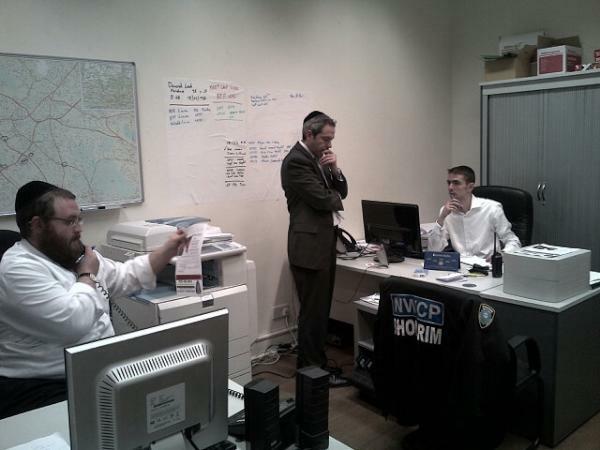 As news of his escape spread through EdgwareK, Simchatext, Facebook and other networks, volunteer patrol group Shomrim co-ordinated a search operation involving hundreds of people, taking in the route from the school to Yossi's Stamford Hill home and key Jewish areas. Kisharon chief executive Dr Beverley Jacobson said it was a fortunate coincidence that the drop-in centre was staging a special needs activity when he arrived tired and hungry at around eight o'clock. His situation had been handled with sensitivity and he was back at school on Tuesday as if nothing had happened. He is a very robust young man. "The support of the community has been overwhelming and we feel privileged that so many people wanted to help in the search." Yossi's mother Deborah said it had been "very worrying when he went missing but we feel reassured that the school acted promptly and engaged so much help and support. He has been at the school since September and it has made the world of difference, both to him and to us as a family." Dr Jacobson added that security specialists visited the school on Tuesday to review risk assessment issues and Kisharon would act on any recommendations. "It is the first time something like this has happened - and hopefully the last."